The first week of August, we went to Maine to visit Gary's family. 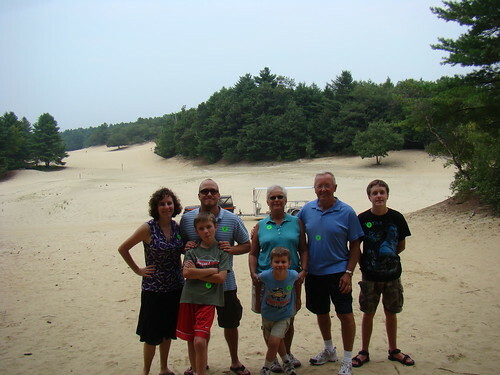 While we were there, we visited the Desert of Maine. 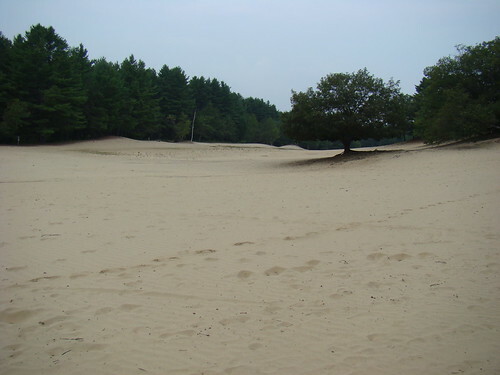 Did you know there is a desert in Maine? Even though I lived in Maine for a year, and frequently visited Freeport since I worked for L.L. Bean, I didn't know there was a desert in Maine. Even though my husband is from Maine, I didn't know there was a desert in Maine. Then, I came across this article. My family is all about the weird, so I read it. Low and behold one of the sites was on our vacation! I figured it would be a great learning experience for the kids, plus very interesting. It was very interesting, but the tour was a little boring. At one point they stopped the tram and showed us pictures while giving us the history of the tourist aspect of the desert. I would have preferred more scientific information and it could have been given while driving. I think the pictures would have been better put in the barn to look at after the tour. I think it would have been wonderful if we had had time to walk on the trails. We did enjoy ourselves, though. At any rate, here is some information for you. 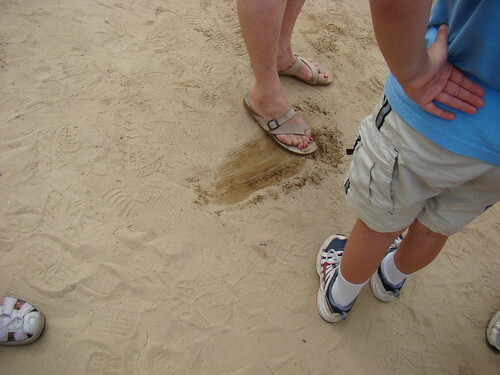 The sand was deposited by a glacier that moved through the area . 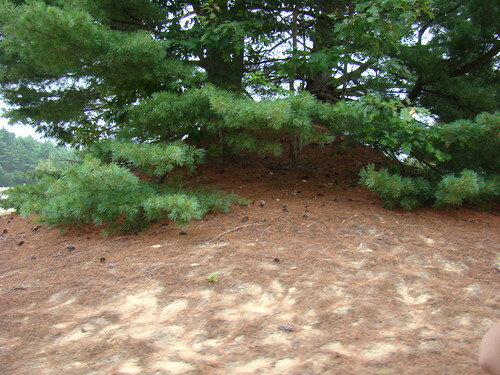 Over the years, the sand was covered with fertile topsoil. 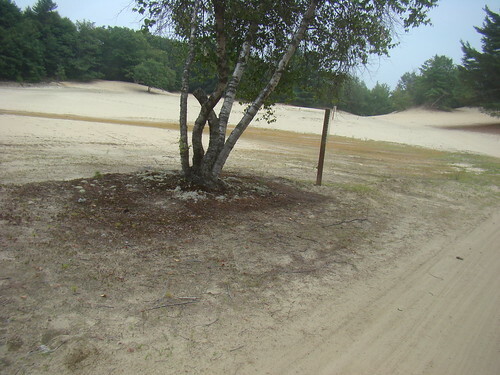 Through aggressive clear cutting, farming, and overgrazing, the topsoil eroded and left the sand. The winds blow fast through the desert, and trees get sandblasted. 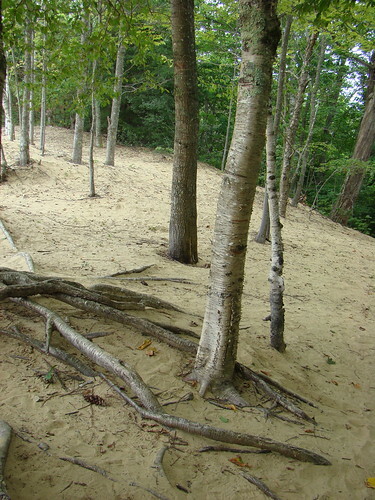 Roots are covered and uncovered by the constantly shifting sand. 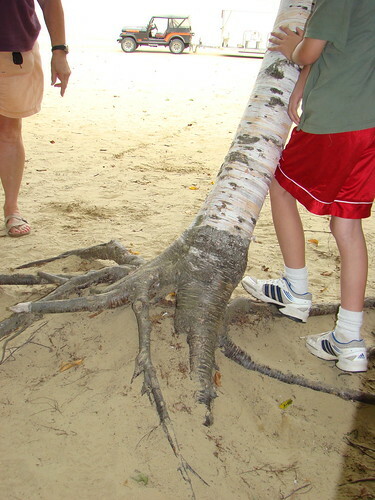 In fact, in some areas, the sand builds up so slowly that tree branches get gently covered and become roots. Slowly, nature is reclaiming the land. Topsoil is being remade by nature. Decomposition and plant life is taking back over the desert. 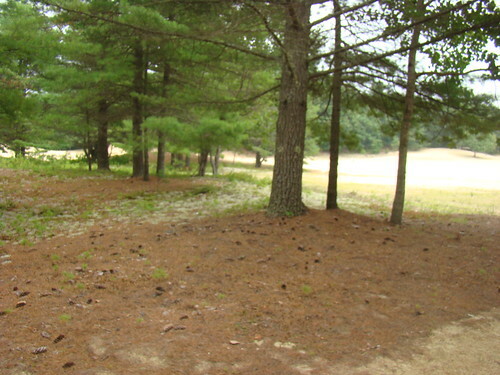 In another thousand years there will be no desert in Maine, so go see it while you can!